Many businesses feel pressured to be on every social media platform without thinking through their strategy, especially when it’s the new exciting platform that all the millennials are using! However, since Instagram is very different from other popular social sites it requires a different marketing strategy. How can Instagram assist you in achieving your overall marketing goals? How does Instagram offer you something different to other platforms? Who is your target audience and which members of your audience are active on Instagram? 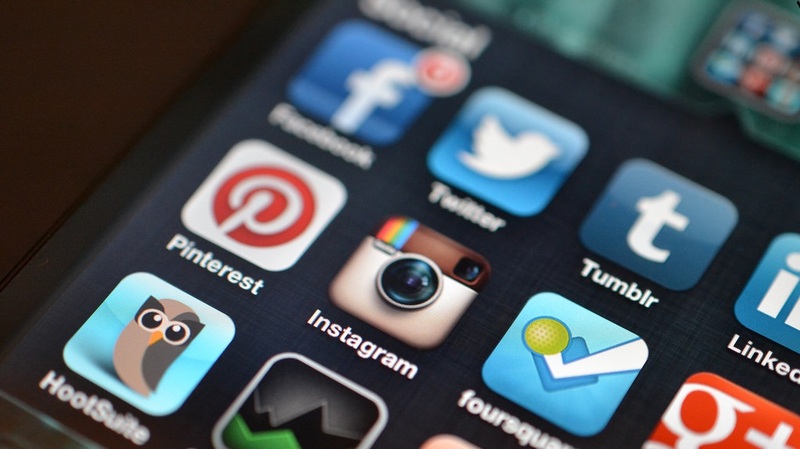 How will Instagram integrate with the other networks in your social media strategy? How much time or budget can you commit to Instagram? As you continue to create your strategy, these objectives will guide you in determining the best approach to each part of the process. Marketing is all about delivering the right message, to the right people, at the right time. Just like on any other social media platform, you need to determine the audience you want to reach before you begin marketing on Instagram. Don’t know where to start? Some helpful factors to consider when narrowing down your target Instagram audience are age, location, gender, income, interests, motivations, and pain points. If you already have other marketing strategies in place, you can draw from those to help. Some other tips include, taking a look at your competitor’s followers and monitoring popular event and interest hashtags that are related to your business then find out who’s using and engaging with the hashtags and check out their profiles. After you determine your Instagram audience, do a competitive analysis to see what other marketers in your field are posting as the information you gather from this audit will serve as a benchmark as you start growing your own account. If you already know your top competitors, start with searching for their Instagram profiles. If not, try searching for terms related to your business or industry to find similar, relevant accounts. What types of posts are getting the highest amount of engagement? How quickly they are growing. Are there any marketing opportunities they might have missed? Instagram is an inherently visual social platform and the content you share with your audience is the back bone of your marketing campaign. It should be relevant, valuable and engaging for your followers whilst at the same time being consistent with your brand and strategy. Product Based Content: This is a popular Instagram marketing strategy focusing all your posts on your products in a straight forward marketing campaign. All your followers receive pictures and videos of your products exclusively. User Generated Content: Another effective marketing strategy is to rely on user generated content. The aim is to create campaigns focused on attracting a large audience who are willing to get involved with the brand’s channel and hashtags and upload their own content. For example, upload themselves using the product etc. Successful brands use a mixture of both on Instagram. Once you have decided on the type of content for your strategy, you Importantly need to think about the hastags you will use to supplement and enhance the content. Hashtags are sometimes just as important as your brand image and they will help you grow followers exponentially if used correctly. You can use popular hash tags in order to get more chances to be discovered through search engines but at the same time, you can choose to use less popular tags if they are properly targeted inside a specific niche. By all means you can create your own user generated hashtags to build your brand awareness, and for competitions you are running etc. To get you started, below is a list with some of the most successful Instagram image types. Behind the Scenes Posts: These posts are designed to humanise the brand by offering a glimpse into a part of your business or brand that people don’t normally see. Repost From Employees: Sometimes you don’t need to look any further for great content than your own employees. Reposting great photos from your employees is an easy way to curate authentic content and help humanize your business. Educational Posts: These type of posts offer quick tips on how to do or make something – often related to your product or industry. Influencer Posts: Tap into an expansive audience by piggybacking on the fame of a celebrity or well-known public figure to draw attention to your brand. These posts often include a visual of the influencer using or interacting with your product. Motivational Posts: A motivational post usually combines a simple visual with some kind of uplifting text or quote overlaid on top. They can be a great way to motivate your audience but be careful not to appear cheesy. User Generated Content: User generated content is curated content from your fans and followers. Take a look at your tagged photos or posts using your brand hashtag and consider reposting high-quality images that are particularly positive. Remember to @mention the original poster in the caption as this gives a nice shout-out to the fan showing you care, but also has the benefit or boosting your brand. Special Observances: Join in with relevant fun observances like National Hamburger Day and National Sibling Day to reach a wider audience and tap into potential great engagement. Just ensure the observances are relevant to your brand and not just for the sake of joining in. On average, brands post about six images per week on Instagram which adds up to over 300 posts per year! With that many posts, it can be difficult to keep track of all the content you need to post as well as what you’ve already posted. Instagram does not reward quantity but if you are consistent and able to deliver quality content frequently, your followers will reward you with a higher engagement rate. Creating an editorial calendar is a helpful way to cut down on the amount of time required to manage your Instagram presence and is also a great place to record any key events you want to highlight on your Instagram account such as new product launches, national holidays, special observances or special offers. Ultimately, your content schedule and the frequency of your posting depends on two things your available time/resources and what your audience wants. This is why after the first couple of months, you should look to study your audience and try to find out vital insights such as when to post in order to get the most engagement as this will guide your strategy going forward. It’s clear when a business on Instagram doesn’t have a consistent brand strategy as their content is random, sporadic and disjointed, which will do nothing but confuse their audience and will likely cause an account to lose followers. To avoid this, it’s important to maintain a consistent brand aesthetic across your Instagram account. To determine what yours looks like, start by thinking about your brand personality. What are your brand values? What’s your brand personality? Are you bold and adventurous with a bright colour palette? Or are you sensible and regal and use a lot of purple in your brand? Ideally, someone should be able to see a picture in their feed and instantly know that it’s from your brand just by looking at the photo. You can create a successful marketing strategy on Instagram without paying for ads but only to a certain point. If you want to be sure of your future success, you need to capitalize on this feature and leverage the opportunities available to you to boost traffic, sales and awareness. It’s important to note that at current, the advertising feature on Instagram is linked with Facebook ads and cannot be used independently. In a nutshell this means, you will have to create a Facebook account as well in order to use them, in case you don’t have one already. Whilst it might appear to be somewhat annoying to have to do this, it’s actually of tremendous benefit to you as Facebook has access to more user data than any other social media or advertising platform. Therefore, you can be assured that you are getting the best ad targeting option available for marketers with great results in the long term. Use eye-catching images: Ads are not intrusive and are shown in users’ feeds just like any other posts, therefore your ads need to be as attractive and persuasive as your regular posts. This means that you need to focus on great imagery, professionally quality photos and attention-grabbing captions. Target your ads precisely: To maximize your gains from the advertising campaign you must target your ads precisely. This means carefully studying your followers, potential customers and your competition to identify specific segments of your targeted population and deliver your ads to them. The more you can narrow down the pool of potential customers, the better the results will be. This is an extract from my new book ‘The Ultimate Beginners Guide to Social Media for Small Businesses’ Available now on Amazon as a downloadable eBook and Paperback!